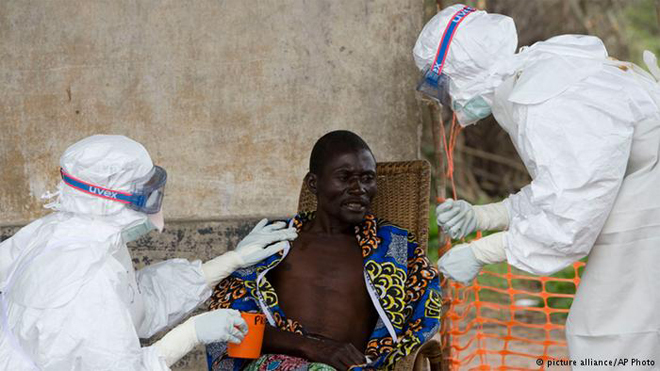 Recently Ebola Virus has turned an epidemic outbreak in west Africa. The disease caused by this virus is called Ebola Virus Disease (EVD). It is highly fatal and one of the world’s most deadly diseases. It is so infectious virus that it can kill up to 90% of the people who catch it. Report is saying that 9 among the 10 infected persons with Ebola Virus are facing death. Ebola Virus was first detected in 1976 in Kongo and Sudan. That time about 700 people died of this deadly virus. In Mar 2014 Ebola Virus has been detected in Guinea. According to WHO report 393 people has died in Guinea of EBD. The number of death in Searaleone is 286, in libaria 282 and in Nigeria 1. Till present total 932 died in Africa of EBD. Up to 4 August 2014 total 1711 persons have infected with Ebola Virus in Africa. Like Dengue Virus Ebola Virus also causes hemorrhagic fever in human. The symptom begins with fever in an association with headache, body ache, sore throat, joint, muscle, and abdominal pain. Vomiting, diarrhea and loss of appetite are also common. patients may also develop maculopapular rash, red eyes, hiccups, chest pains and difficulty in breathing and swallowing. It affect multiple organ systems in the body and are often accompanied by eye-nose-mouth bleeding followed by death within a few weeks. Early symptoms of EVD may be similar to those of malaria, dengue fever or typhoid fever. How Ebola Virus Disease Can Be Treated or Prevented? Medical Science has not yet discovered specific treatment for Ebola Virus Disease. Again there is still no vaccination against it. EDV patients are isolated followed by medical treatment- maintenance of fluids and electrolytes balance, Oxygen inhalation, Blood pressure medication, Blood transfusions and Treatment for other infections. 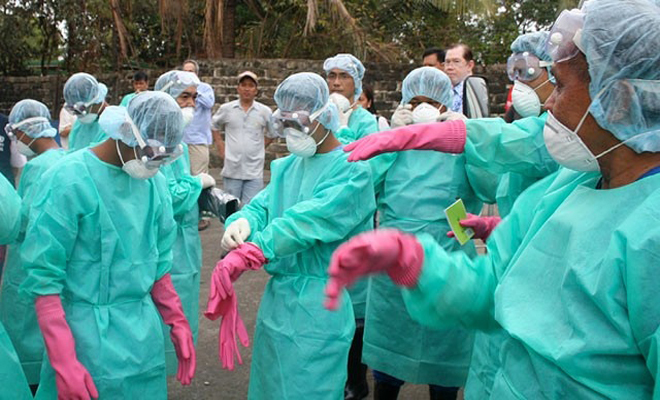 Health care workers are advised to to take protective measures in dealing with EVD patients like wearing impermeable gowns and gloves and to wear facial protection such as goggles or a medical mask. This entry was posted in Disease, Health and tagged Ebola Virus, Ebola Virus Disease, Ebola Virus Disease Outbreak in West Africa, Symptoms of Ebola Virus Disease, Treatment of Ebola Virus Disease by Result Gov BD. Bookmark the permalink. Next → Next post: Watches for men and jewelry for women? Or Vice versa?